Officially launched internationally back in April in Singapore (we were there! 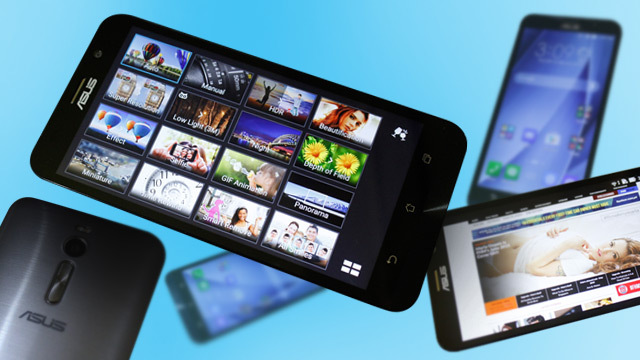 ), the ZenFone 2 is among the most hyped phones in recent months, primarily because of the success of its predecessor, the first-gen ZenFone. And it looks like it's living up to expectations. For the past two weeks we've been playing around with one of the ZenFone 2 variants, the ZE551ML (there are two models locally available, the other one being the ZE500CL) and we're leaning towards putting the FHM Must-Buy stamp on this bad boy. Simply put, the ZenFone 2 ZE551ML is among the best smartphones you can buy right now—and below are six reasons behind that statement! If the ZenFone 2 ZE551ML was a girl in a bar, you won't see her when you come in, because your view's covered by all the dudes trying to score her number. That's right—this one's a true stunner, a perfect visual marriage of glass, plastic, and metal. The front side looks as glossy as an oily teen's face while the backside comes with ASUS' trademark "Zen" facade which uses calm visuals and slightly-curved lines to please your eyes. It looks both futuristic and laid-back, an interesting mix that works. The physical experience of using a device is near the top of our "what-a-gizmo-must-have" list. To elaborate: Our hands and fingers shouldn't have any problems holding and using it, and we must feel good doing so. The ZenFone 2 ZE551ML scores high in this department, thanks to its curved back side that follows the contours of your palms. It almost seems like it's a part of your body when we use it and not something alien. This also results to better grip overall, which is good since current phones are a drop away from being rendered useless. 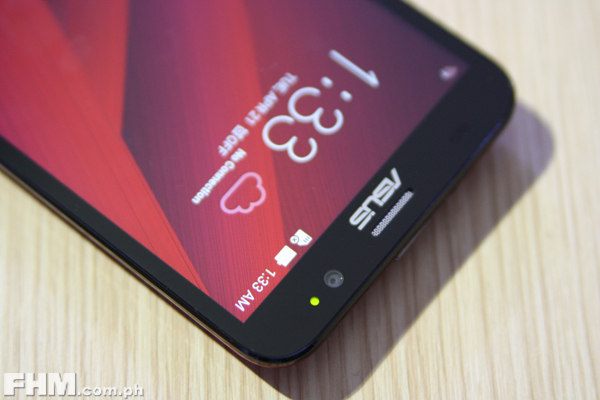 This is the first time we've encountered a phone that gave us zero lags and slow-downs. Yes, even if we were loading up games or had a dozen apps running in the background. When we expected it to bog down a bit, it marched on like a good soldier. Full credit goes to its hardworking combo of an Intel Atom processor and 4GBs of RAM (it's actually the first smartphone in the world to have this much memory), which basically allows it to run all sorts of mobile shiz simultaneously. So, if you have one, go ahead and go crazy with the apps. It can handle the load. 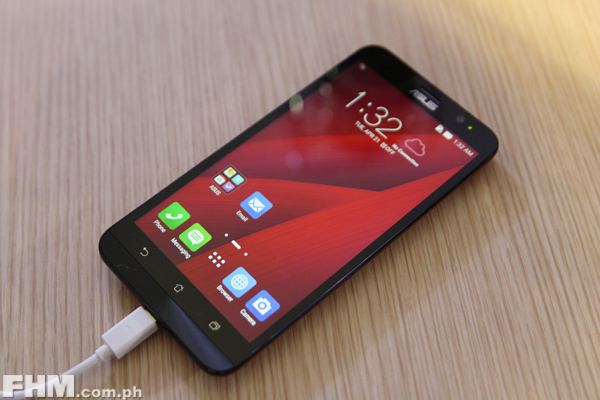 Another thing going for the ZenFone 2 ZE551ML is its gorgeous display. Sporting a Full-HD resolution, it will give justice to the pirated movies, videos, and games you'll run on it. We also like the fact that you can use the thing even under direct sunlight and is bright enough that you can use it as a goddamn flashlight when you lose your keys in the dead of night. But the best part is its responsiveness. Basically, it's neither super sensitive that you'll be accidentally opening apps all over at every swipe nor is it unresponsive that you'd have to poke really hard just to take a selfie or Like a post. 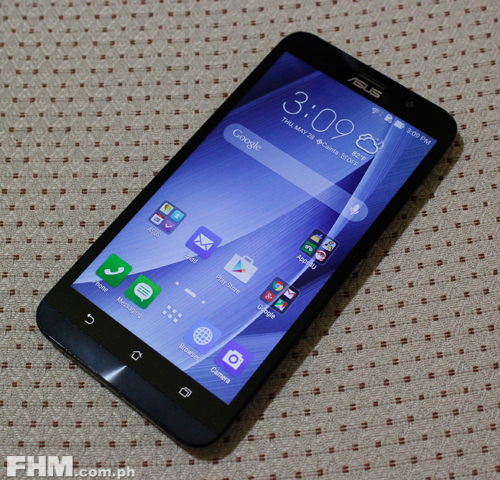 The ZenFone 2 ZE551ML isn't going to give you Nokia 3310 levels of battery endurance. Still, it's good enough for around 28 hours (we really counted!) of moderate use (a bit of gaming, mobile shooting, wireless surfing). You can even stretch that for over two days if all you'll do is send texts and make some calls. In an arena where many phones can't stay away from the charger for even just a day, the ZenFone 2 ZE551ML's 3,000 mAh battery is a winner. If we didn't know any better, we'd guess (and fail) that the ZenFone 2 ZE551ML's asking price is over P30,000 because, as they say, quality doesn't come cheap. Lo and behold, the darned thing goes for only half that—P13,995 to be exact! We daresay it: This is a legit bargain right here.